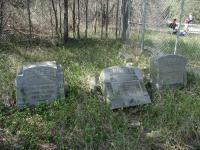 Longview Cemetery's markers are completely surrounded by a high fence. 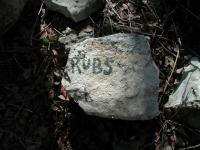 Some old cemeteries are cared for and revered for decades after they have long since been in active use. Others are destroyed by vandals and/or wiped from memory by being buried under new construction. Some are simply neglected and neither cared for nor destroyed. 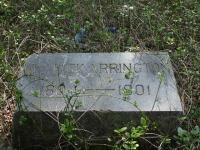 That later fate appears to have befallen Longview Cemetery. 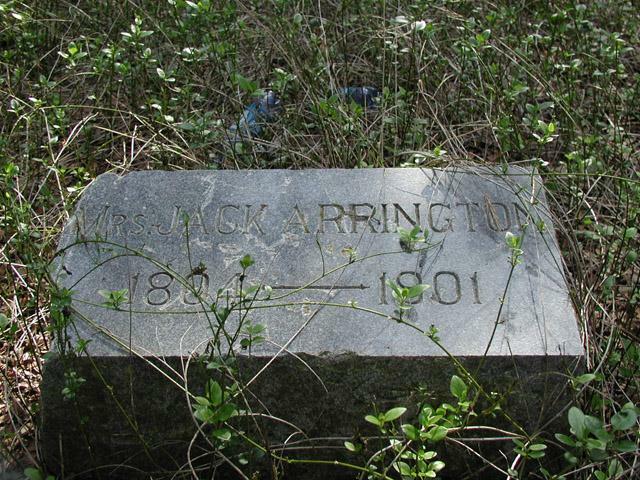 Only a few graves maintained their headstones, such as Mrs. Jack Arrington here. 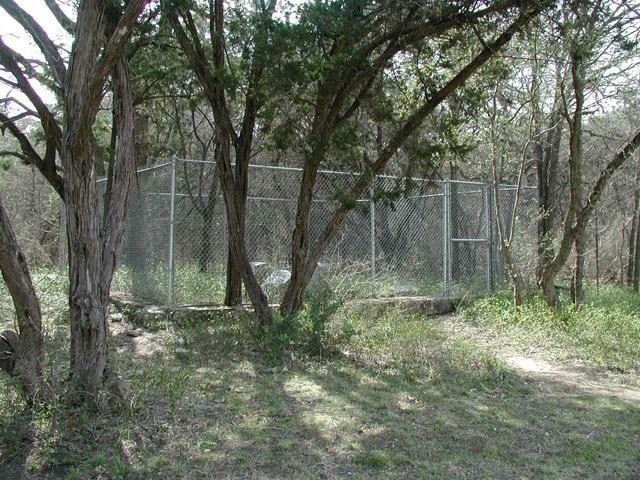 The cemetery lies within the current boundaries of Longview Park in South Austin, right next to a basketball court. On my visit there a boisterous group was in the middle of a game and I'm sure they thought it odd that I was paying so much attention to the markers nearby. To the city's credit, a high fence has been placed around the markers, high enough that even loose balls are unlikely to scale it. The gate is even locked. But the modern chainlink fence contrasts greatly with the older headstones and it's a little sad to see it that way. According to online sources, the number of graves here total 14, with only 5 bearing headstones. 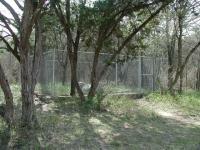 Judging from the perimeter of the fence, some of the unmarked graves must reside outside its protective barrier. Though they do not constitute the majority of the inhabitants (that honor goes to the Plumbley family with 10) the Bargsley family's 3 graves are the most visible given the fact that each is marked by a prominent headstone that has withstood the elements well.